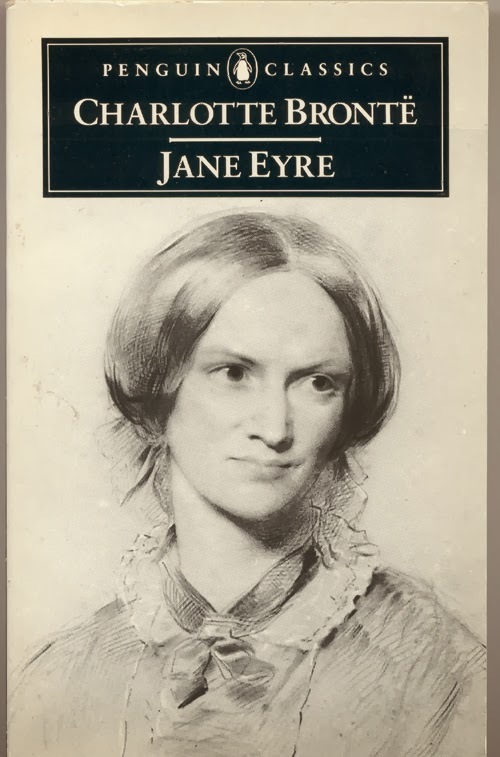 So, I have recently read Jane Eyre. For the first time. Could it be the perfect novel? I loved reading through the Jane Austens last year - and there are definitely three of them that I will go back to at some stage - but is one allowed to like Jane Eyre better than Jane Austen? I knew this story well having watched it in various versions and I've practically memorised every inch of the BBC miniseries from 2006. But the novel... What can I say? What a beautiful read. I want to read it again. Straight away. Which is unheard of for me. My recent enthusiasm for J.E. did raise the question amongst at least a couple of my friends as to how I'd got this far without having read it until now. Well, I blame it on 1986. And 1985. High school was full of required reading and it was during this time that I read Tolkien for the first time. After that I went to university to learn to be a teacher, but did an Arts degree alongside that qualification. I recall standing in the queue at enrolling time, still undecided about whether to take literature or history. I was one person from the front of the desk when I ticked the literature box. That was the mistake for 1985 because had I done my research I would have discovered that my chosen university didn't take a particularly classical approach to literature. They were more into feminism at the more radical end of the spectrum and Freud. In 1986 I enrolled in a year long unit call The Theory of the Novel (mistake number two) which involved one novel a week, starting with Don Quixote and finishing with whatever what modern at the time, all viewed through a Freudian lens. Oh joy. Not. In addition I took another unit each semester which also had a reading requirement of one novel per week. That's two novels a week. I ended up reading the novels I needed for essays and tutorials in full and otherwise, lots of first chapters, last chapters, random middle chapters, introductions and journal articles, learning to chip in with some intelligent comment based on my limited reading early on in the tutorial before the discussions got beyond me. And I learned to hate reading. In 1987 I only had two more units to complete my literature requirements and I chose poetry because poems are much shorter than novels. And the lecturer was old school. Not sure how he came to have a job at this particular university but I was sure glad to have found him. After that I became a Christian and so I read the Bible and Christian books. I added professional reading to that and the newspaper to keep up with current affairs then eventually I dipped my toe tentatively back into the pool of fiction, starting with Brideshead Revisited. Mostly I read whatever was good and current. All the Pretty Horses, The English Patient and Captain Corelli's Mandolin spring to mind. There was a Thomas Hardy phase at some stage. Then all that stopped and suddenly I was reading books about how to care for babies and how to live with toddlers and how to force said toddlers into eating vegetables. I like Christopher Green's take on baby and toddler wrangling the best, for what it is worth. And I read recipe books. And magazine articles because my concentration span had shrunk to nothing. And so I missed the classics - the ones that were not covered in high school at any rate - and as it transpires, that is fine. Because there are so many wonderful books for me to read now. And I am very happy about that. What about the natural disasters that occur frequently in various parts of the world? Many sensitive Christians struggle over the multitude of large-scale natural disasters around the world - an earthquake in one place, famine in another, typhoons and floods somewhere else. Thousands of people are killed immediately, others slowly starve to death. Entire regions are devastated, crops are ruined, homes destroyed. "Why does God allow all this?" we may ask. "Why does god permit all those innocent children to starve?" It is not wrong to wrestle with these issues, as long as we do it in a reverent submissive attitude toward God. Indeed, to fail to wrestle with the issue of large-scale tragedy may indicate a lack of compassion toward others on our part. However, we must be careful not to, in our minds, take God off His throne of absolute sovereignty or put Him in the dock and bring Him to the bar of our judgment. If you stop and think about it, you will realise that most godly character traits can only be developed through adversity. The kind of love that gives freely of itself at great cost to itself can only be learned when we are confronted with situations that call forth a sacrificial love. The fruit of the Spirit that is called joy cannot be learned in the midst of circumstances that produce mere "natural" happiness. God is His infinite wisdom know exactly what adversity we need to grow more and more into the likeness of His Son. He not only knows what we need but when we need it and how best to bring it to pass in our lives. He is the perfect teacher or coach. His discipline is always exactly suited for our needs. He never over trains us by allowing too much adversity in our lives. No plan of God's can be thwarted; when He acts no-one can reverse it; no-one can hold back His hand or bring Him to account for His actions. God does as he pleases, only as He pleases, and works out every event to bring about the accomplishment of His will. Such a bare unqualified statement of the sovereignty of God would terrify us if that were all we knew about God. But God is not only sovereign. He is perfect in love and infinite in wisdom. Have I mentioned how much I love the book Trusting God by Jerry Bridges? Oh yes, I have. I read it again during the summer and have decided that I will try to read it annually. Jerry Bridges is a humble man who loves God deeply and has the firmest possible grasp of the sovereignty of God. He explains in this book how God is in control of all things and that we can confidently trust Him in all things. All things. My sense is that God gives many, if not all (but I wouldn't want to be so bold as to make that call) Christians particularly clear insight into one aspect of the Big Picture to share with one another. For me it's God's sovereignty. I just trust that God is in control. I always have. And it is no problem for me. But if that is the case, why would I read this book? Wouldn't I read a book in an area that I don't get? I love this book because it gives me courage. Because when I say to someone, "This is in God's hands," or even more directly, "God is in control," I can hear them saying, "There she goes again with her Christian clichés." Even Christians tell me I am being clichéd. And they roll their eyes. And yet I'm not being clichéd. I truly, truly believe it. So I love this book because Jerry Bridges speaks of God's sovereignty with such courage, belief and confidence that it fills my heart with joy. He takes the reader through a process of understanding how and why God is in control and then explains how we can put our trust in Him, even when those circumstances are difficult. And throughout the book he demonstrates, page after page, that God's sovereignty operates firmly on the foundation of God's perfect love and perfect wisdom. God isn't being controlling in the worst sense of the word. He is ordering all things in perfect love and wisdom. Bridges tackles all of the tricky questions around this issue - suffering on a personal and larger scale, considering ourselves pawns in God's big game of chess, where prayer fits into this and so on - in a helpful, pastoral way. And he writes in an easy style, making this book a joy to read. He quotes lots of Scripture - full quotes, not references to texts - and I have enjoyed coming upon the passages he uses in my daily Bible reading and understanding more fully how God is at work as a result, seeing His love and mercy unfold in the story. Reading this book has magnified my view of God and my trust in Him. It comforts and calms me. As I said, I will be reading it again. And I commend it to you too. Add it to your list and be encouraged. Speaking of loving Jesus first and best, while we were on holidays we heard a really interesting sermon on the first six words of Romans. It included a bit of a discussion about slaves and servants because the word "servant" here really ought to be "slave." Both words are fraught with difficulty - and I'm not looking to get into a debate about all of that here - but there is a helpful insight or two to be gained from stepping back for a moment and considering some definitions of sorts. A servant can be hired and fired. A slave is bought and owned. This has permanence. Both can be treated poorly or well. So the terms themselves don't represent the spectrum of ill or good treatment. Paul is a slave of Christ Jesus. And so are all who love Jesus. This helps me to understand the idea of "purchased with the blood of Christ" more deeply. And the language of redemption. And then we serve those around us. But they cannot master us. Because we can't serve two masters. That moment when I became a Christian, taking up the faith I'd had as a child and making it my own as an adult, was more a case of bowing down before the throne of God rather than kneeling at the cross of Christ. Which is not to say that Jesus was not important in the equation. That was just how it was. And that has shaped me as a Christian all these years. My default position is before the throne of God. I get God the Father more naturally than I get God the Son. That's just how it is. But at long last (God waits for us patiently) I see I have some growing to do. At times I long for heaven. When I see people around me struggling, when I struggle myself and even when I just feel bone tired or stressed or worried, I long for that time when Jesus will come again and there will be no more death or mourning or crying or pain. What am I really longing for? I am longing rest found in God. That perfect rest. But it's a selfish longing. All the ways of the Lord are loving and faithful for those who keep the demands of his covenant. Sure as he is of God's love and His promises, David makes many requests of God throughout this psalm. Don't let me be put to shame. Show me your ways, teach me, guide me. Remember your mercy and love and remember not my sins. Turn to me and be gracious. Look upon me and take away my sins. Guard my life and rescue me. I read that psalm and I read those requests and I nod my head in agreement. Yes Lord. But why I am nodding in agreement with David? I know in my heart that I want those things for selfish reasons. Get all those things right and it's comfortable. It's a selfish longing. But directly after verse 10, and right bang smack in the very centre of the psalm I read this. For the sake of your name O LORD, forgive my iniquity, though it is great. Being forgiven is not about me. It's not about me feeling comfortable or being seen in a good light. It's for His sake. That verse shot out at me like the proverbial silver bullet. It's for His sake. I eagerly expect and hope that I will in no way be ashamed, but will have sufficient courage so that now as always Christ will be exalted in my body, whether by life or by death. For to me, to live is Christ and to die is gain. If I am to go on living in the body, this will mean fruitful labour for me. Yet what shall I choose? I do not know! I am torn between the two. I desire to depart and be with Christ, which is better by far, but it is more necessary for you that I remain in the body. Paul longs for heaven. Not to be comfortable. Not to rest. There's not an ounce of selfishness in his longings. He longs to see Jesus. And if it is not his time, then to live is Christ. This year as I read the Bible, as I try to memorise Philippians, as I love and serve the people around me and as I think, read, pray and reflect I find I am asking God a new thing, many times a day. Help me Lord to love Jesus first and best. It's not all about me. It's not about me at all. It's about loving Jesus first and best. Celebrated Christmas wonderfully. One of the best we've had, I think. Enjoyed catching up with friends "home" for Christmas. This included catching up with various missionary families home on deputation. And in amongst the missionaries, farewelled a friend from church off for two years on missionary service. Saw three movies with the boys. Gone gone gone is the policy of one visit to the cinema each holiday. And in between the kids' movies, I saw The Hobbit with my husband. The boys had two weeks of swimming lessons. That went well. I finished six books. There are still a couple on the go but will need to reign in the reading now against the commencement of normal life. At different times we caught the train into town and took in the museum, art gallery (kept our youngest amused by getting him to count how many paintings included animals and managed quite a good stroll through the galleries as a result) and the state library. At the state library we enjoyed an exhibition of original art work from the illustrators of children's books - Alison Lester, Graeme Base, Moira Court, Kim Gamble and Terry Denton to name a few. We were delighted to see our favourite page from Imagine by Alison Lester, a portrait of Tashi and a page from The Eleventh Hour on display - and the exhibition prompted a bit of use of the paint set in subsequent days. And every time we went into the city we also enjoyed the water maze. This is too much fun and such a gift to the people of our city from the local council. ...but we were away on a wonderful week's holiday by the seaside. One seaside highlight was this 'aquapark" - so much inflatable fun. Too much screen time, not enough cleaning, the occasional afternoon nap, a few new recipes tried and tested and most recently, lots of new stationery labeled, bags packed and some slightly strange cookies (I wonder if they will notice that they were made with wholemeal flour) baked for lunchboxes and this morning, off they went, happy with their new teachers and looking forward to a new year ahead. And I will look forward to a new year ahead as well, once I've sat here in complete silence for just a little bit longer.